The energy stored under braking is made available to the pilot, who can decide to reuse it in specific situations – straight stretches, while overtaking other cars or at strategic points of the track – providing a power boost during each lap through a pushbutton or throttle. 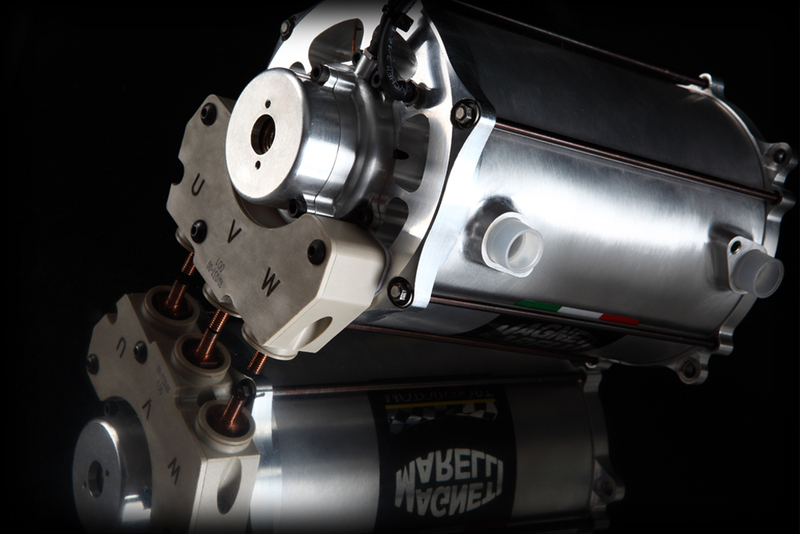 Magneti Marelli has developed an electrical solution for KERS. The device is connected directly to the drive shaft through a motor-generator that, under braking, driven by the same shaft, converts kinetic energy into electrical energy, Through the control unit and through shielded wirings, this current recharges lithium ion batteries. Under acceleration, on the other hand, kinetic energy is taken from the batteries when the pilot operates the power boost and, again through the electronic control unit, it is sent to the motor-generator, which rotates in the opposite direction and applies an accelerating force on the drive shaft. The motor-generator can reach up to 40,000 revolutions per minute. When developing KERS, the main technological challenge faced by Magneti Marelli was to concentrate in a small space and low weight a system with extremely high power in proportion, making it suited for an extreme environment in terms of temperatures and vibrations, and combining conflicting technical requirements and features.To achieve these results and such a difficult technological compromise, the “system” approach that Magneti Marelli has in its DNA proved to be crucial: it allowed the overall optimisation of the device and a complete integration job between system-vehicle, motor-generator, electronics and batteries. As for the new frontiers in F1, in view of changes in regulations set to take effect in 2014, Magneti Marelli is already working on improving and fine-tuning the evolution of this system, which is called ERS: the new version will provide a boost to the engine by combining the recovery of kinetic energy during braking with the recovery of energy deriving from the exhaust gases, both aimed at supplying power to the electric moto-generators connected to the drive shaft. The technology and methods used in developing the KERS system are a source of solutions and technological spin-offs for systems and components aimed at mass-produced hybrid and electric engines (moto-generators, electronic control systems, inverters, battery control, etc. ).